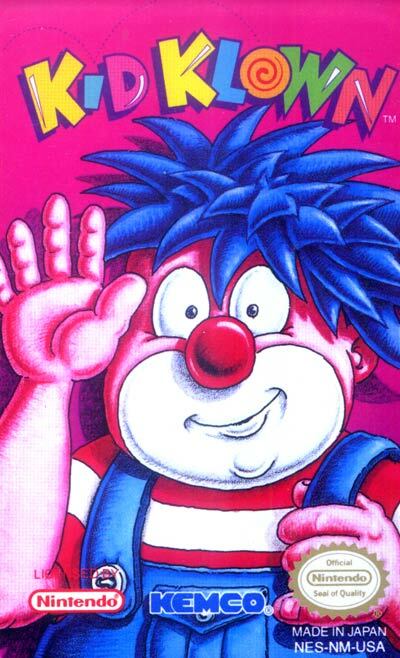 Kid Klown actually started life as a Mickey Mouse game in Japan. Released as part of the mostly Game Boy Mickey Mouse series, Mickey Mouse III: Dream Balloon was released in September 1992 by Kemco in Japan for the Famicom. Due to copyright issues it was changed into Kid Clown in Night Mayor World for its US NES 1993 release. It was released in the final days of the NES and it is a short but good game. What makes the game so special is the usage of your balloon, not only can you attack with it you can also use it for other things like jumping higher and floating. In the game you'll go through six different themed levels (seven if you count the intro stage) and at every end of the level is a bonus stage where you can collect extra lives and extra energy.